One Mic UK returns for a second Afrobeats Special edition, featuring explosive performances from some of the hottest Afrobeats artists of the year. 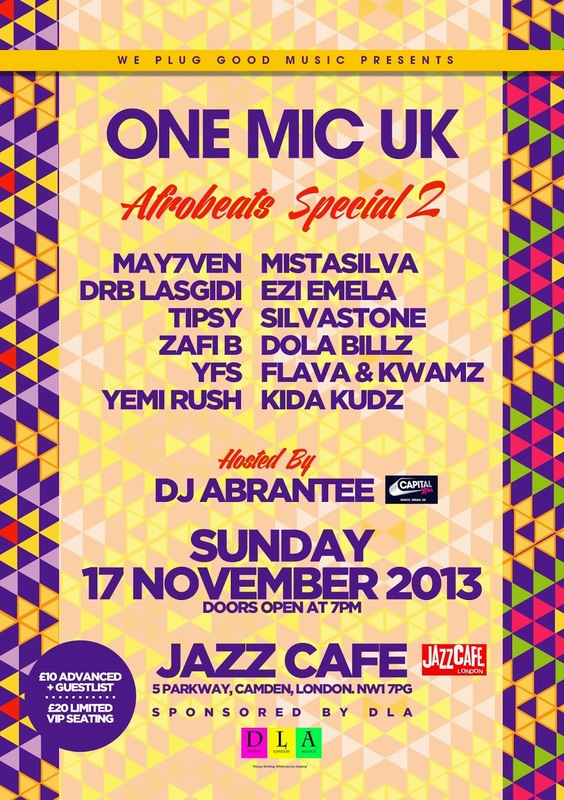 Following the massive success of the first Afrobeats Special in July 2013, this second edition comes to the prestigious Jazz Café in London on Sunday 17th November. Sponsored by DLA UK and hosted by Capital Xtra's DJ Abrantee, this event will be a night not to be missed and promises to be even bigger and better than the last! 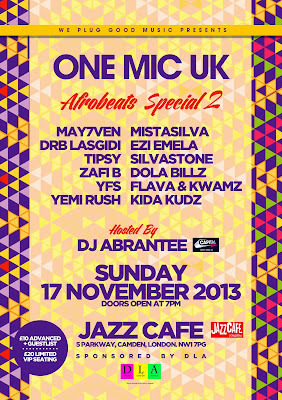 This is definitely a night not to be missed.. Come down and support the UK Afrobeats scene! See you there!